Micron’s range of hand-held spinning disc Controlled Droplet Application (CDA) sprayers have been used in European forestry for over 20 years. Equivalent weed control can be achieved with CDA sprayers at 10 – 30 l/ha total spray volume compared to the 200 l/ha required with traditional high volume knapsack sprayers. The low volumes allowed by the precision of CDA give substantial logistical advantages as well as reducing the weight carried by the operator in difficult terrain. Micron’s HERBI sprayer range is used widely in the UK and in Scandinavian forestry, and the Micron ULVA sprayer range has been used for control of bracken, heather and woody weeds on inaccessible slopes. The precision of application with spinning disc sprayers for herbicide application offers various advantages in addition to logistical savings. The production of relatively large (200 – 300 micron) even-sized spray droplets by the Micron HERBI range minimises any risk of spray drift, with precise spray placement of great importance in situations where there are nearby crops. The elimination of the waste inherent in spraying with hydraulic pressure nozzles also ensures maximum efficiency of chemical usage, allowing use of minimum dose rates. In some areas Micron sprayers have been modified to suit local requirements better. For example, by using innovations based on Micron HERBI and HERBAFLEX spray heads, foresters in Chile have obtained excellent weed control in eucalyptus with glyphosate and reduced the generation time by two years (planting to harvest), a notable achievement in this naturally fast maturing tree, allowing eucalyptus to be profitably felled over just 8 years of growth as opposed to the normal 10 year period. Accurate and cost effective weed control curtails weed competition and allows the trees to make full use of available soil, water, nutrients and solar radiation. 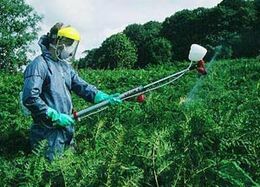 Trials are also being conducted in eucalyptus in South America with standard Micron HERBI-4 sprayers and HERBIs are being successfully used in Africa in agro-forestry projects. The UK Forestry Commission has published Technical Information sheets on Micron’s HERBI-4 and ULVA+ sprayers. 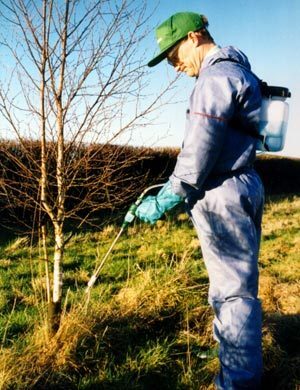 Tractor mounted sprayers using Micron rotary atomisers have also been developed in the UK for use in forest nurseries and similar applications. 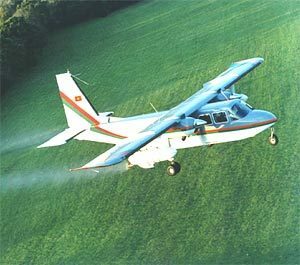 Micronair atomisers are widely used for aerial spraying of forests in North and South America, Eastern Europe and elsewhere. The narrow, controlled droplet spectrum produced by these atomisers is ideal for the application of Bts and Insect Growth Regulators (IGRs) as well as chemical insecticides. Micronair AU5000 atomisers are recommended for general contracting work, whilst the AU4000 is preferred for use on dedicated forestry aircraft, especially when fine droplets are required for the application of Bts and similar formulations. Electrically driven AU6539 atomisers should be used on helicopters operating at a low or varying airspeed.